After a cream-filled pastry breakfast, we said goodbye to Florence and hopped on a train to Pisa. The train was crowded and we were lucky to find seats together. We eventually found two seats opposite each other. The girl sitting next to Jacob was from Portugal and we had fun talking to her about travel in Europe, life in Portugal, etc. This is what gives train travel a sense of excitement and adventure. It is meeting new people and learning about different cultures and really immersing yourself. After chatting for about an hour or so, we parted ways in Pisa. 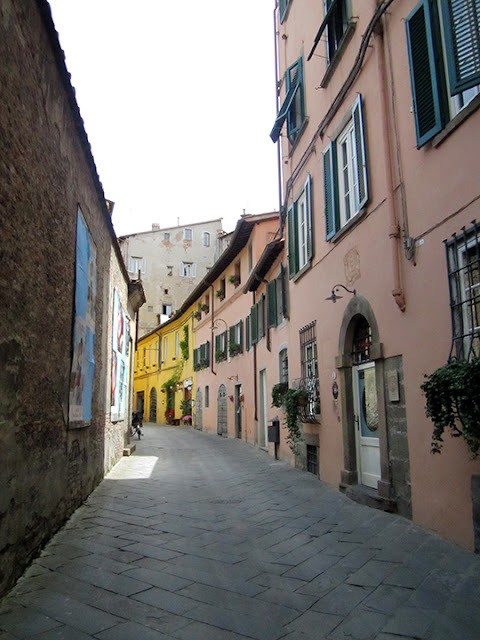 Our plan was to hop on a different bus to a small town called Lucca. One of the bus companies was on strike, but we lucked out that a different one was still available. Lucca is one of the only Italian cities that wasn't bombed in WWII and has its city wall completely intact. Lucca doesn't have many sights, which is exactly what we were looking for. 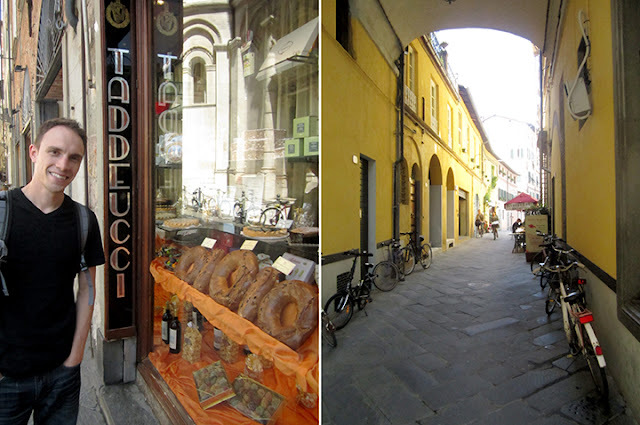 The first order of business was to find buccellato- a specialty bread in Lucca with raisin and flavored with anise. We found ours at Buccellato Taddeucci, a 130-year-old pastry shop. All I wanted to do in Lucca is bike the ramparts. 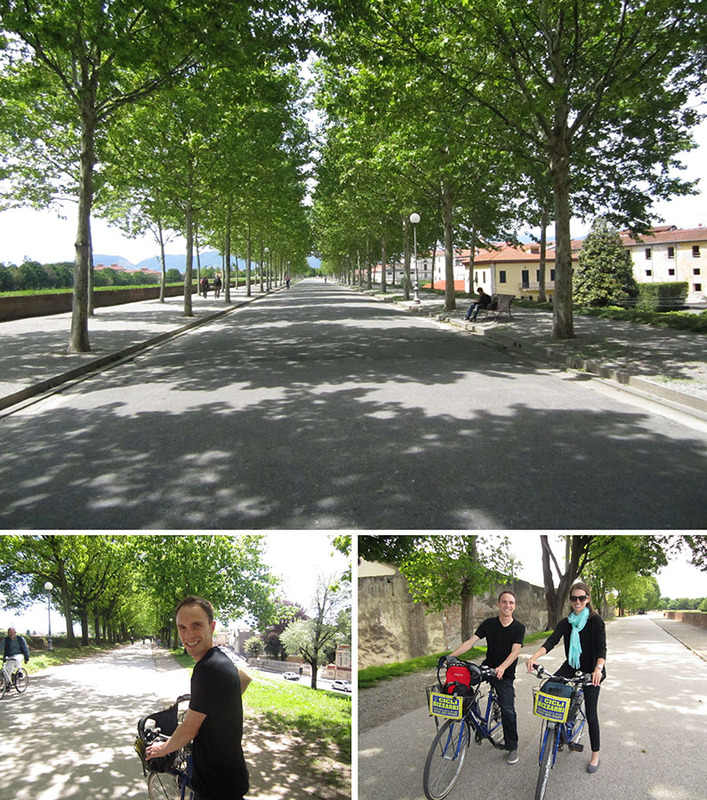 We pedaled around the top of the city wall on rented bikes. The weather was perfect and the price was cheap (3 Euros for an hour). We wandered through the streets before taking a bus back to Pisa. 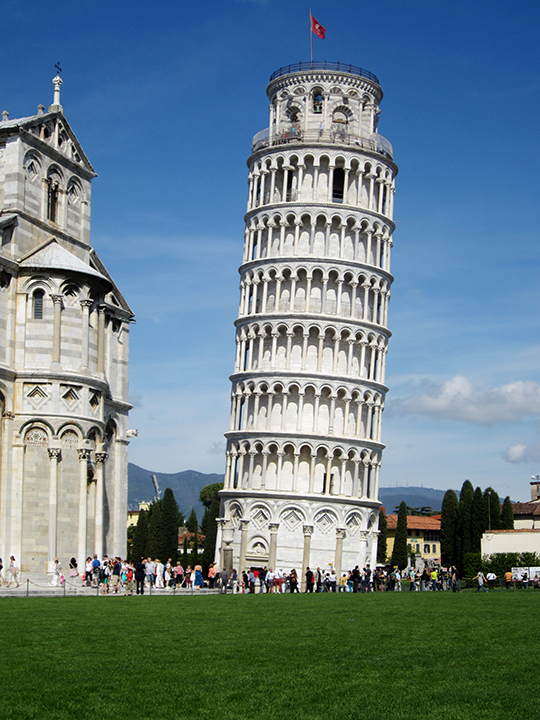 Oh, Pisa. Your tower really does lean. 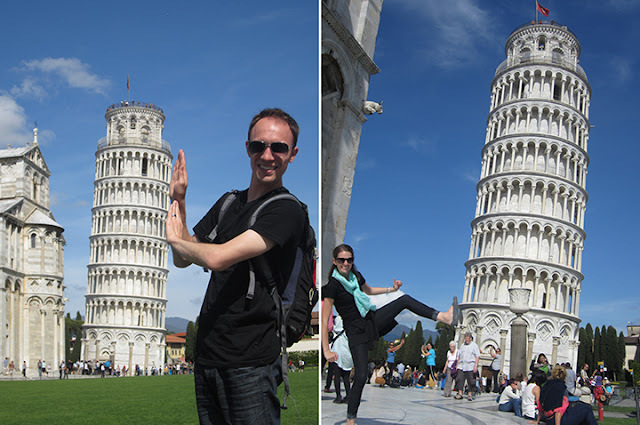 It was a shock to come from the low-key Lucca to the overly touristy Pisa. We made this a tourist quickie and peeled out of there in less than an hour. The obligatory photo. I only plan on going to Pisa once so make it count! But we fit in with every other tourist in that place. It would be weird if you weren't taking a picture like this. After getting our fill at the tourist trap, we trained to one of my favorite destinations: Cinque Terre, a coastal region of five towns. The trains in that region are notoriously unpredictable (READ: late) so we missed our connecting train. 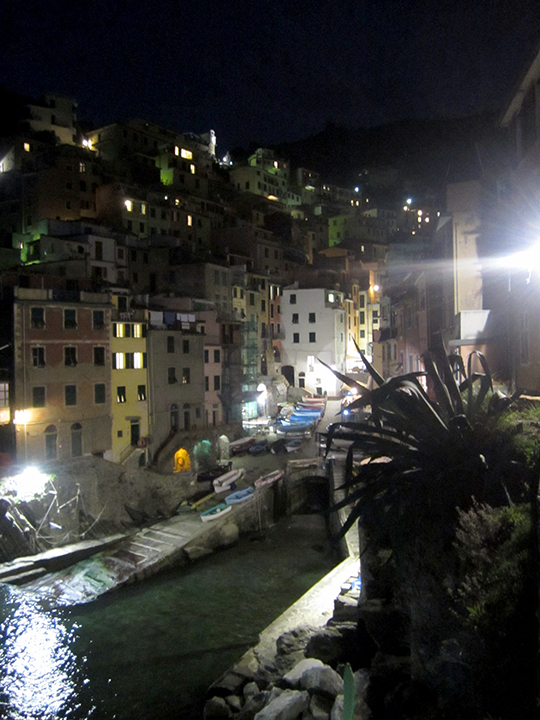 But a late train meant becoming friends with another traveling couple from the U.S.
We made it to Riomaggiore and I instantly knew this place was different than anywhere we had been. It was beautiful with small streets and sweeping views. And I felt incredible safe, even at night. Our hotel (a two-room establishment run by the fabulous Lorenza) was tucked between colorful buildings, nestled on a steep hill at the top of Riomaggiore. Lorenza met us and walked us up to our room. Riomaggiore is perfect for stair enthusiasts. The winding, curving staircases, built haphazardly onto each other, lead us to our place. We really do live in a small world. The couple staying in the other room were LDS and from Utah. We Utahns must have been on the same wavelength. We wandered in the moonlight and found via del Amore AKA Lover's Lane. The cliff-side trail used serve as a meeting place for young lovers to meet in secret. Even in the dark of night you can feel it. I could not wait to see it is daylight.